Inspired by the glamorous art deco era, the Rindo Table Lamp by Daytona exudes class and sophistication. 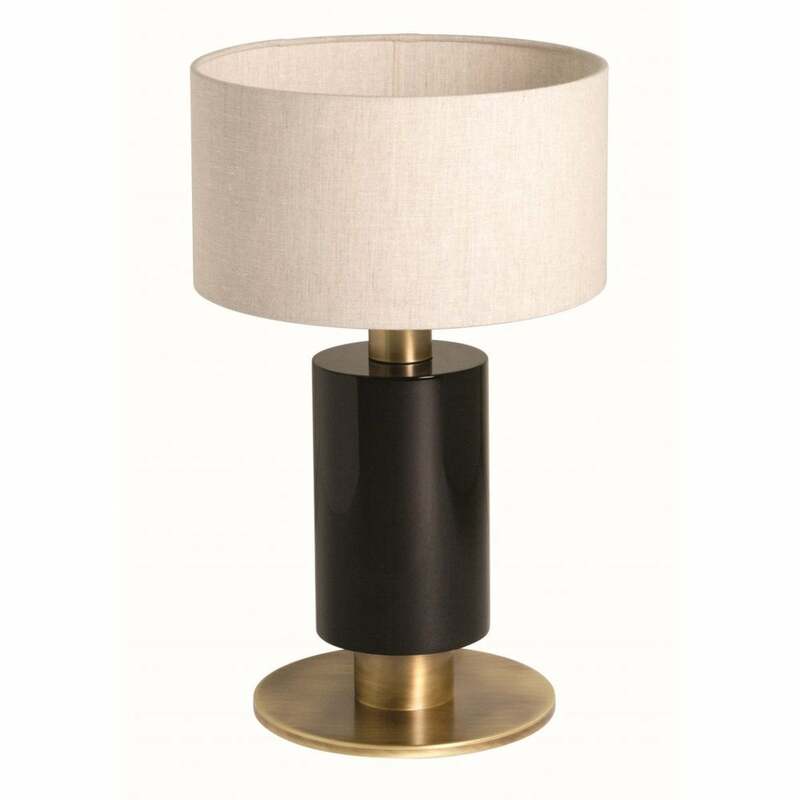 Featuring a cylindrical shape base hand-crafted from dark walnut veneer, the table lamp is finished with a gloss effect lacquer. Complemented with burnished brass details and a neutral fabric lampshade, Rindo will make an elegant addition to a hallway or living space. Place on a dark wood console table such as Dante to create a dramatic look. The base is available in a range of finishes from pure ebony to lacquered woods. Combine with the matching floor and night lamp from the Rindo range for a cohesive lighting scheme. Get in touch with our team for more advice and information.